It's a common misconception that people who are successful have secret natural talents that the rest of us don't possess. In many cases, the only difference is that these individuals never gave up following their dreams--no matter how impossible things seemed. Let YourDictionary's collection of perseverance quotes help inspire you to develop the same level of determination, tenacity, and grit. 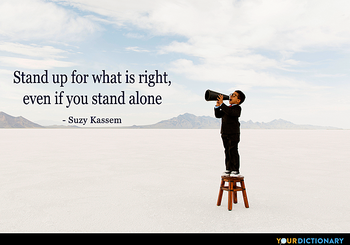 Stand up for what is right, even if you stand alone. I'm not the richest, smartest or most talented person in the world, but I succeed because I keep going and going and going.  Dag Hammarskjold, Markings (1964).  Johann Gottfried Herder, as quoted in Beautiful Thoughts from German and Spanish Authors (1868) by C.T. Ramage (Craufurd Tait Ramage).  John F. Kennedy, Address at Rice University on the Nation's Space Effort, Houston, TX (12 September 1962). Attempt the end and never stand to doubt;Nothing's so hard, but search will find it out.  Robert Herrick, Seeke and Finde.  It's not the mountain we conquer, but ourselves. 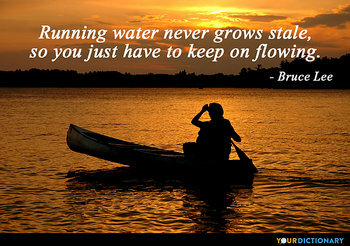 Perseverance is a character trait that allows you to be a success, no matter what challenges get in your way. As John Quincy Adams, the sixth President of the United States once explained, "Patience and perseverance have a magical effect before which difficulties disappear and obstacles vanish." Part of being persistent means practicing over and over until you've perfected a new skill. It doesn't matter if your goal is to make the basketball team, learn a new language, or get the funding you need to start your own business. You will be successful only if you keep practicing, until you figure out a strategy that works for you. 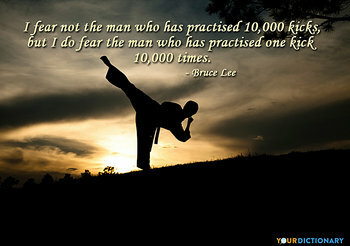 "I fear not the man who has practiced 10,000 kicks, but I do fear the man who has practiced one kick 10,000 times," martial artist and actor Bruce Lee said. 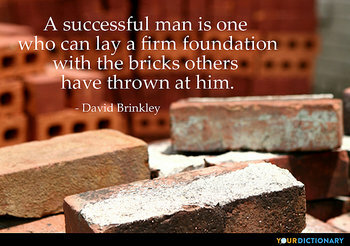 If you encounter stumbling blocks along the way, don't give up. Obstacles in your path are often put there to make you stronger and help you to better understand what you're meant to accomplish. 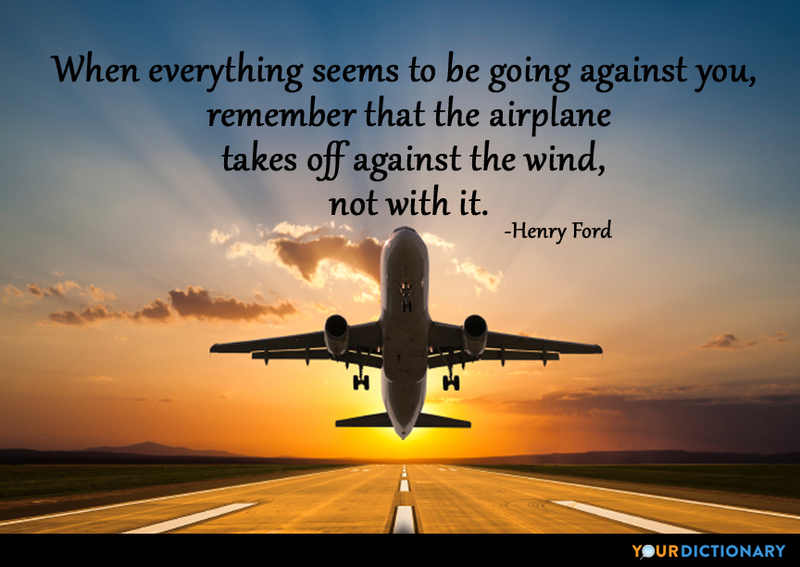 "When everything seems to be going against you, remember that the airplane takes off against the wind, not with it," famed American industrialist Henry Ford said.